Jesus humbled himself to the point of death to give us life. We should be able and willing to humble ourselves and, honestly, repent for our sins (stating what they are or were) and start anew (fresh). 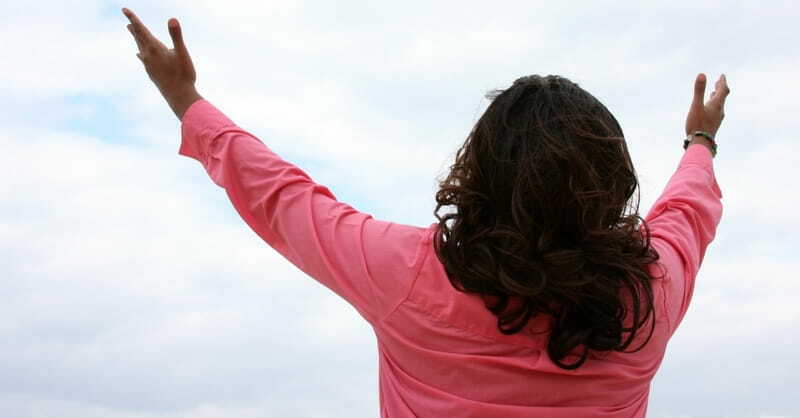 It is never too late, God forgives us when we repent, allowing us to move-on shackle free. Christ gave us the opportunity to rise above who we (presently) are. It is time to change our home location, we are in this world, but not of this world. Go to a quiet place and speak to God, ask Him to forgive you. You choose the place. It could be in the midst of a train station, bar, standing on the corner in busy traffic. Just still yourself and pray. He will receive you wherever you are at the moment. We belong to Christ. New Beginnings. Danger, danger, do not gravitate to self. When our lives become comfortable, we tend to gravitate to self if we do not stay alert. Alert – Do not gravitate to self. It is during these times that we begin to think about the success we are having is our own. We designed and orchestrated it by ourselves. All success is defined by God. He knew us before we were born. He designed our path leading to our destiny. We may be in control of how our success is playing out as any good manager does, however, our success is guided by our creator and not us. We reflect Christ through our behavior and actions. Our behavior and actions are our witness to the world. We gravitate to self and elevate self when we are successful. The opposite of this scripture occurs when we are deceived and lulled into a place of lust. We increase self and decrease Gods’ prominence in our lives. Proverbs 1 challenges us to think and act differently than the world. The world is enticing and without warning, you can be seduced. The evil one is cunning and knows what you lust after eager to provide it if it draws you away from God. I am speaking from experience. There was a time when the CEO of the company met with to discuss my future with the company. He shared that my future was bright if I followed my Vice Presidents instructions without question. As I listened, I immediately became suspicious. I was the school administrator of one of their schools. Shortly after the initial meeting with the CEO, the Vice President visited and told me to sign over a check to corporate that was intended for the school. I couldn’t believe what I was hearing. He wanted me to commit an act of fraud with a smile on my face, thus giving me access to a corporate career. I informed him that was not possible knowing I would be fired if I did not comply. Ephesians 4:14 says, people are cunning and crafty and create deceitful schemes. This was definitely one of those moments. This experience forced the question, do I become greater and relegate God to become less; or do I become less, and allow God to become more in my life? I decided that I’d rather lose the job and follow the Word of God being a good steward of the school than become a slave of the evil one bound by fraud and deceit. 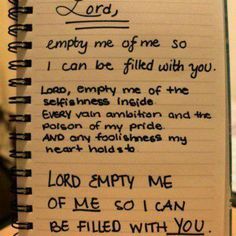 Ephesians 4:22-24 teaches that we are to leave our former way of life, to put off the old self, which is corrupted by deceitful desires and to put on the new self, created to be like God in true righteousness and holiness. Through Bible Study and instruction, I knew that this was the evil one’s ploy to corrupt me and position me to become one of his slaves. I told the CEO I could not commit a crime to gain success. I was also emphatic that as a child of God, I knew it was not only illegal but one day I would find myself standing before God trying to explain why I allowed myself to fall into this trap of sin. I told the President of the Board what happened, and the Board fired the company and promoted me. Now do all stories end this way, no. Herein lies the challenge, should we learn the wisdom of God and apply it in our daily lives, regardless of the outcome of our actions, and live according to His word, or do we relinquish His power over our lives and live a worldly life? Do we rely on our (carnal) wisdom or Gods’ wisdom? 1 Corinthians 3:19, NLT is very clear, true wisdom comes from God. For the wisdom of this world is foolishness to God. As the Scriptures say, “He traps the wise in the snare of their own cleverness”. Gods wisdom is the only true wisdom. Back to the subject matter – do not gravitate to self. Solomon wrote the Book of Proverbs to give us an instruction manual about living life wisely and not falling prey or being lulled into a life that increases us and decreases our Father in Heaven. God is our sovereign, and there is no other like Him. Fearing the Lord is the beginning of knowledge. He alone is the source of wisdom informing us how to live life wisely. Part of this lesson was taken from the BSF lesson I recently committed– The Kingdom of Solomon, the remainder was God inspired. The take away is: Never gravitate to self, never think that your ability to plan makes you lord over your life. It is the Lord who directs our steps. Every plan we make should be held in humility before God and surrender it to His ultimate will for our life. Ask, and He will show you the things you do not know, Jeremiah 33:3. Live a Godly life, a wise life, give God all the Glory, and do not gravitate to self. 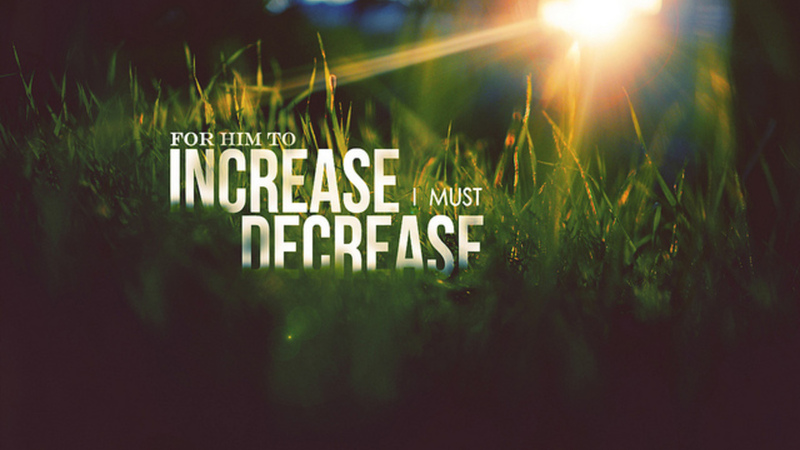 Decrease so He can increase in your life. Practice the 9 Fruit of the Spirit this week, especially when it is a challenge. The Bible is our manifest for life. It is our operations manual, others call it our guidebook. Its precepts are designed to teach us how to govern ourselves, as we mature as Christians, and travel down the path to our destiny. The Old Testament precepts provide our travel instructions and through them we are encouraged to stay the course regardless of how live appears on earth, looking to our destiny, heaven as the purpose of our time on earth. The precepts offer hope in what can be defined as the godless world we live in today. The theme of the month is dependence upon God and our obedience to Him. This scripture is yet another dimension of how we are to follow his instruction and rely on His Word to govern our lives. It informs us as to our duty as Christian Warriors in not only applying the precepts to our lives, but to demonstrate them through obedience to the Word. It describes the Trinity and how we can access the Father, the Son, and the Holy Spirit. The application of the precepts ensures that we are living a Christ-like life. When we received Christ as our Lord and Savior, we received our Salvation and insurance that we are part of God’s family. We have been pardoned through the Blood of Christ. We are justified in his likeness and he dwells in our being. As a member of his family, we received the promise of eternal life. In an earlier post I discussed Obedience and Dependency. Both require our allegiance to our faith. By this I mean, it is impossible to live a Christ-like life without being obedient. Obedience is ascribed to the practice of our faith and is one of the initial acts of obedience and is essential to our character. (Vine’s Complete Expository Dictionary, pp 438) This again takes us back to the Fruit of the Spirit defined as the characteristics of Christ. Living by these characteristics is a life long process because we fall daily and are in constant battle with our own demons given birth by Satan, and represent the opposite of Christ’s fruit. 15 For what I am doing, I do not understand. For what I will to do, that I do not practice; but what I hate, that I do. 16 If, then, I do what I will not to do, I agree with the law that it is good. 17 But now, it is no longer I who do it, but sin that dwells in me. 18 For I know that in me (that is, in my flesh) nothing good dwells; for to will is present with me, but how to perform what is good I do not find. 19 For the good that I will to do, I do not do; but the evil I will not to do, that I practice. 20 Now if I do what I will not to do, it is no longer I who do it, but sin that dwells in me. 21 I find then a law, that evil is present with me, the one who wills to do good. 22 For I delight in the law of God according to the inward man. 23 But I see another law in my members, warring against the law of my mind, and bringing me into captivity to the law of sin which is in my members. 24 O wretched man that I am! Who will deliver me from this body of death? 25 I thank God—through Jesus Christ our Lord! Our struggle is harnessing our fleshly desires to live like Christ. One author defines it as ‘carrying the cross’. It’s literally, dying to self. Dying to self is the true essence of the Christian life. It is part of being born again. 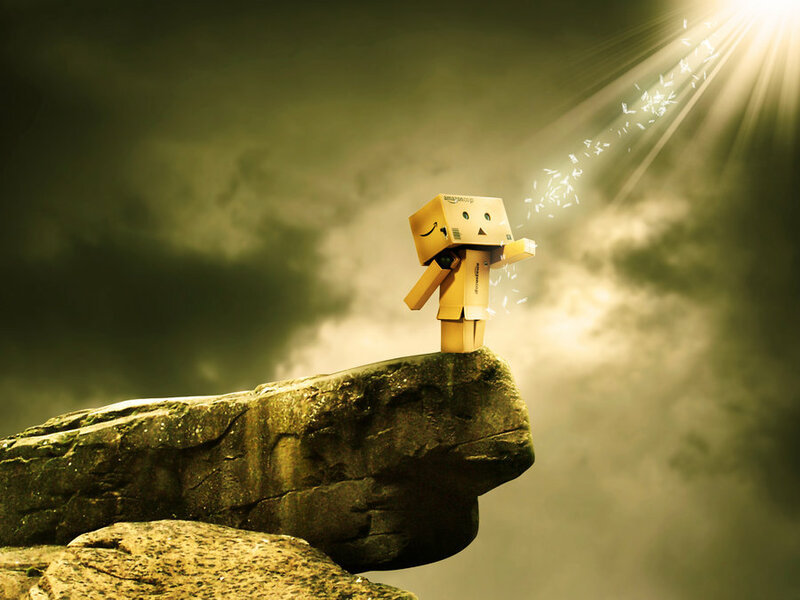 Giving up your old self, dying to self, is living in a state of humility. Jesus died to self on the cross, surrendering himself in exchange for our sins. Though our rebirth we are freed from our fallen nature, our sin nature. Jesus accomplished this when he came down from heaven to dwell with us. Through the crucifixion he won life through death. “Humility and death are in their very nature one: humility is the bud; in death the fruit is ripened to perfection.” Humility leads to perfect death. Jesus humbled himself and became obedient to death to set us free. Our primary responsibility in life is to die to self through meekness and humility. To accomplish this we should draw our strength from the Lord. We must (fully and completely) trust in God. I discussed sacrificing ourselves for others in an earlier post. We are to become dependent upon the Lord through prayer and study. We generally find that God’s grace abounds when we have come to our own end.